Do not perm or tint lashes after application. Be gentle when washing your eyes and face. Clean around your eyes, then your lashes as instructed. Oil free cleanser only. Do not tug, pull or twist your lashes. Avoid saunas, steam rooms or exposure to high heat. Use caution when cooking as you can singe your extensions. Do not use waterproof mascara. Water based mascara only. Apply only to tips of extensions. 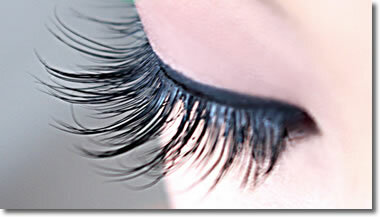 Do not wear strip lashes or cluster lashes on top of these. Do not try to remove them yourself. They will fall off when ready, or call for a removal appointment. Do not cut your extensions. Get a touch up every 2-4 weeks to maintain them. 50% of them must be remaining to qualify for a touch up price. Blow dry the lashes upward with a cool shot on blow dryer after every shower. Brush them several times daily with provided wand. Never brush them wet. Do not allow creams, etc. onto the lashes. Try to avoid touching them as much as possible.